Inspiration through Grace and God's Power, Joseph Prince latest book will equip you to be transformed by God's power. 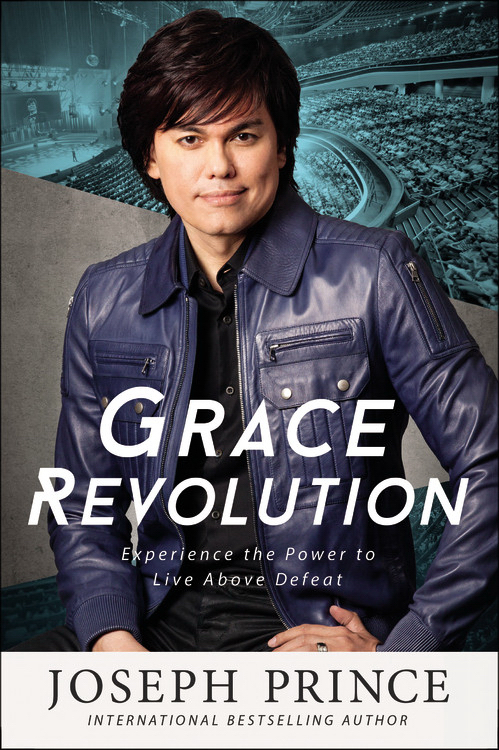 "New York Times" bestselling author Joseph Prince invites you to experience the grace revolution that is sweeping across the earth. The grace revolution is all about bringing Jesus back to the forefront. When Jesus is preached and lifted high, lives are touched and transformed. It's a revolution of relationship and it's a revolution of restoration. The grace revolution begins in the innermost sanctum of your heart when you meet the person of Jesus. It is not an outward revolution but something that begins from the inside out. Today, you can experience deep, personal, and lasting transformation that is anchored on the unshakable, rock-solid foundation of Christ and His finished work. Grace Revolution by Joseph Prince was published by Little, Brown & Company in September 2016 and is our 15738th best seller. The ISBN for Grace Revolution is 9781455561308. I’m so glad I bought this book. I’ve been a Christian for so many years but didn’t understand grace the way Pastor Prince explained it in this book. He broke it down to as simple as possible for easy understanding. This book made me fall in love with Jesus all over again! Got a question? No problem! Just click here to ask us about Grace Revolution.